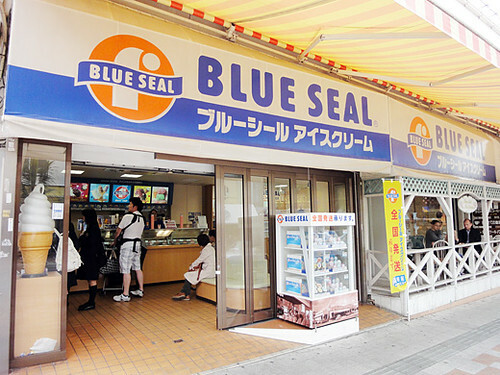 We’ve found the ice cream shop, “Blue Seal” at Kokusai street. 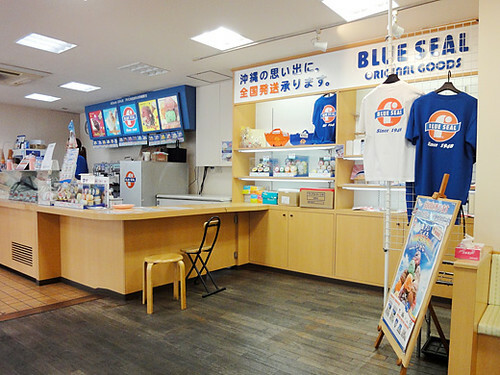 The ice cream shop really looks American shop that is because it was born in the U.S.A, and then it was raised in Okinawa. The shops have developed the business for the locals and those from mainland Japan. 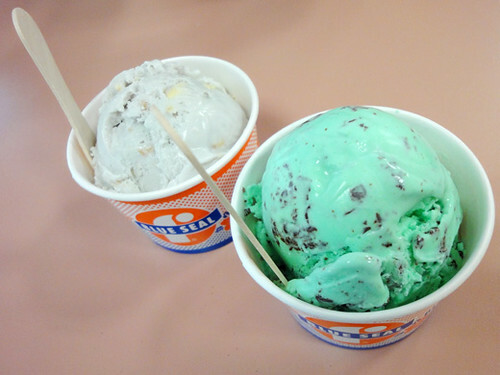 We got S.F.Mintchoco and Okinawa special flavor, Sugar cane. They were really good for the dessert after the noodles. And, the taste were very rich and creamy. I like cookies and cream flavor. Mint is also good though.